So, you are ready to invest in real estate, and couldn’t be more excited to buy an investment property, fix it up and sell it for the big bucks. Well, congratulations! This can be a great way to make money, but it is also a huge undertaking and one that comes with a lot of risk and a lot of potential setbacks. If you are looking to flip a property, you need to make sure that you are aware of some of the biggest mistakes that people make and some of the big things that can cause those flipped properties to become a major flop. While there is no way to completely predict how one of these projects is going to turn out, these tips can help anyone interested in fixing and flipping to try to avoid the most common setbacks. 1. Asbestos- Asbestos was a common material used in homes built before the 1990s. It can be harmful if bothered, but is generally safe if left unbothered. If you find asbestos when you start digging into a wall or floor, you will need to get it removed, which can be costly. Keep this in mind if you are buying an older home. 2. 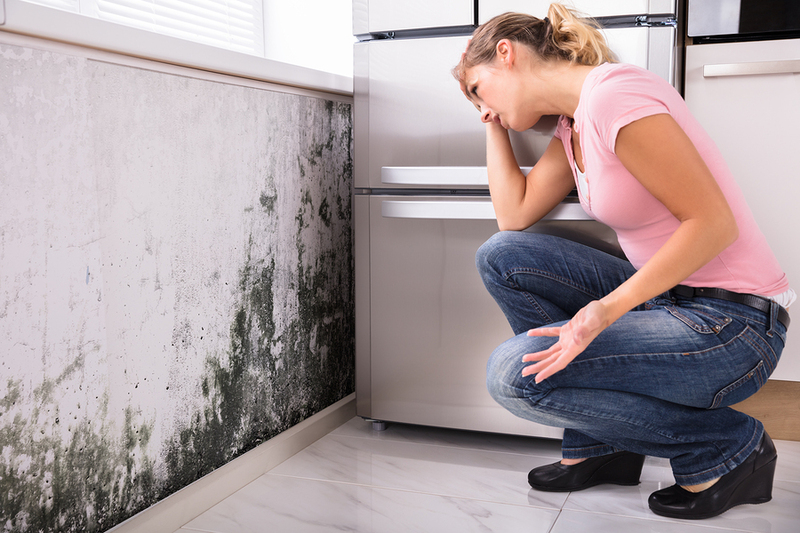 Mold- If you smell mold, see mold or see moisture in a home before you buy it, just plan on there being mold in there. Mold has to be professionally remediated and is expensive. So avoid buying a house with mold or account for the extra costs into your budget. 3. Termite Damage- A termite test is only about $50 and can be done during your inspection. It is smart to do it. If you do happen to find termites when you start your repairs, you can end up spending thousands. 4. Load Bearing Walls- Open concept is super popular, but don’t assume all of the walls in the home are easy to take down. Many walls are actually load bearing and you will need an expensive beam to be put in the wall in order to safely remove that wall. These are thousands of dollars, sometimes more. So, proceed with caution, or have a backup plan. 5. Old Electrical- If you see knob and tube wiring in a house or what looks like outdated electrical, it can end up costing you a lot of money to get this electrical work up to code so you can safely resell the home. Electrical work is one of the biggest unexpected expenses that can ruin a budget. The best thing you can do when fixing and flipping properties is to make sure that you over budget for repairs and renovations, and keep your potential profit margins as big and as open as possible. The more room for leeway you have the better, and the less likely your new flip purchase will end up being a major flop.